2. "Feminism 101: A Crash Course"
3. "Imperialism: Crash Course World History #35"
1. "The Hitchhiker's Guide to the Galaxy" by Douglas Adams. Extremely funny. 2. "Legacy of Ashes: The History of the CIA" by Tim Weiner. Detailed view at the CIA's ambiguous work throughout its history. 3. "Things Fall Apart" by Chinua Achebe. Classic from Nigeria, about the beginning of British colonialism in Africa. 1. "Romeo and Juliet" (1968) by Franco Zeffirelli. A classic interpretation of Shakespeare's play. 2. "Empire of the Sun" (1987) by Steven Spielberg. An example of the struggles involved in British imperialism. Also, the little kid is Christian Bale. 3. "Roméo et Juliette: De la haine à l'amour" (2001) by Gérard Presgurvic. In case you're interested in seeing the rest of the musical, not just "Les rois du monde". 1. "Theory in Action - Liberalism". 2. "The 14 Points Explained: US History Review". 3. "How does the United Nations work?" 4. "How Effective is The United Nations?" 5. "Liberalism" by Gerald Gaus. 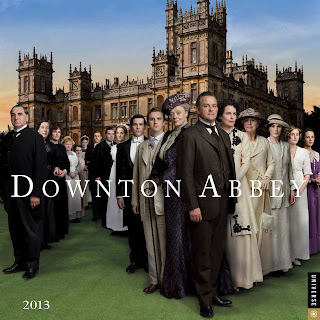 Watch Episode 1 of Season 1 of "Downton Abbey". Write a 500-word essay where you describe the episode's contemporary context using the six tools we studied in the first unit of the class: geography, history, political science, economics, philosophy, and art. Send it to frangg23@gmail.com by February 2. 1. "Theory in Action - Realism". 2. "Peloponnesian War and Thucydides". 3. "An Introduction to Hans Morgenthau's Politics Among Nations - A Macat Politics Analysis." 4. "Political Realism in International Relations" by W. Julian Korab-Karpowicz. 2. "What is art for?" by The Guardian-Culture. 3. "What is art?" by Maria Popova. 1. "Animated map shows how religion spread around the world". 2. "The Future of World Religions (in 2050)". 3. "Mr.Mr." by Girls' Generation. 1. "Political Theory - Niccolo Machiavelli". 2. "Political Theory - Karl Marx." 3. "Political theory - Adam Smith." 4. "How Should Democracy Really Work?" 1. "The Nature of Economics" by Economics Online, Ltd.
2. "The Economic Problem" by Economics Online, Ltd.
3. "Why Economics Failed" by P. Krugman. 4. "The Observatory of Economic Complexity" from MIT. Remember to bring a laptop or tablet to class. 1. "Horizontal History" by T. Urban. 2. "Putting Time in Perspective" by T. Urban. 3. "The Future's in the Past" by S. Fry. Memorable quote: "History is memory; we have to remember what it is like to be a Roman, or a Jacobite or a Chartist or even - if we dare, and we should dare - a Nazi. History is not abstraction, it is the enemy of abstraction." 4. "Does it Help to Know History?" by A. Gopnik. Memorable quote: "What history generally “teaches” is how hard it is for anyone to control it, including the people who think they’re making it." Remember to bring a laptop or an electronic tablet to class. 1. "Difference Between Location and Place". It's not an academic source, but it gives a detailed explanation of the difference between the two terms. 2. "Physical Geography Overview" by M. Rosenberg. I recommend reading the page and watching the video. 3. "Human Geography" by A. Briney. Same as above. Remember to also do your own research for the discussion. 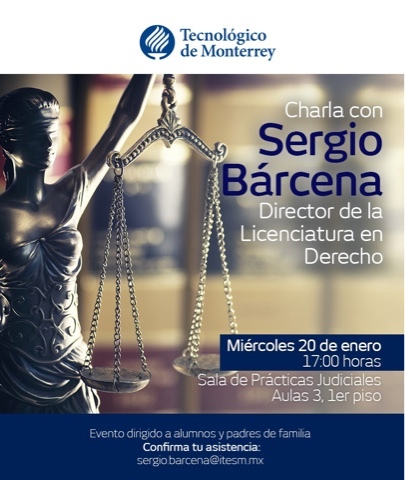 Charla con Sergio Bárcena, director de la Licenciatura en Derecho (LED). Miércoles 20 de enero de 2016, 17hrs. Sala de Prácticas Judiciales, Aulas 3, Piso 1. The wrong information was up for a few hours, but now it's the correct syllabus and everything. EDIT: The dates for the team presentations were wrong, but now they're right. For a PDF of this same syllabus, click here. This course aims to place the students in the midst of the discussions that define contemporary global politics. As such, they will be encouraged to identify discussions that are relevant to contemporary society, participate in them with the knowledge that they generally will not have a simple solution, form educated opinions, and support their arguments with tools from various social sciences, including the fields of political science, sociology, economics, history, and geography. This will be done through in-class discussions, presentations, and written assignments. 1. Country Brief. At the beginning of the semester, each student will be assigned a random country. Throughout the semester, students must keep up with the news in their assigned country, preferably by following at least one international news source and one national source. Every class, one of the assigned countries will be picked randomly, and the student that is following it must be able to give a 10 to 15-minute talk about the country or an update on what is happening there. A visual presentation is not necessary. 2. Lecture. The professor will give a quick overview of the contents that will be used for the class discussion. Students are expected to have looked at the sources, which will be published before each class in the professor’s blog (http://fgg23.blogspot.com), and done their own research on the topic. 3. Discussion. One or multiple questions will be posed, and the class must take a position through informed arguments. Each discussion may lead to a homework assignment. In addition to the three parts of the class, each Monday will include a Weekend Update. Every Monday, one student will be scheduled to make a 15-minute presentation on the relevant international news items that happened in the previous week. The presentation must cover at least three different news sources, and at least three different regions of the world. It must have visual aids (PowerPoint, Prezi, etc.) and aim to create a discussion based on questions related to the relevance of the presented news items for the class at the individual level. For certain topics, experts will be invited to participate in the Discussion at the end of the class, either through Skype or in person. Students are encouraged to ask relevant questions that further the discussion, not just to obtain information from the experts. 1. Be honest. Using information without a proper citation in written assignments, presentations, projects, or exams will be penalized as Academic Dishonesty (D.A.) according to Article 33 of Tecnológico de Monterrey’s General Rules and Regulations for Students. The professor will comply strictly with ethical standards and school procedures. 2. Be responsible. The professor reserves the right to refuse late assignments and schedule late exams. While it is true that certain unexpected situations make deadline extensions acceptable and necessary, this is generally not the case, and deadlines are scheduled for specific reasons. Please consider this before asking for extensions or late exams. Respect the professor’s time and your own by planning accordingly when possible. 3. Be respectful. While cellphones and electronic tablets are a staple of contemporary life, texting and taking calls while someone else is speaking in a discussion-oriented class is impolite and counterproductive. Only answer text messages or phone calls in the event of an emergency and please leave the classroom briefly to do so. Also, please raise your hand and wait for your turn to talk during class discussions, debates and lectures. 4. Be present. As each class is only 1-hour long and activities are fast-paced, any absence (even to go to the bathroom) is distracting and probably unnecessary. This also applies for the usage of computers, tablets and phones for things that are unrelated to the class. You already made it to class, so you might as well make the most of it. 1. Class participation and Country Briefs will be graded on a strict Pass/Fail guideline. If a student participates successfully in a discussion or debate, they will get a 100. If they are expected to participate or give their Country Brief and are unable or unwilling to do so, they will get a 0. Structure includes introduction, body, and conclusion. Conclusion follows from the main idea and is supported by the body of the paper. Uses 3 separate sources from the campus library or the digital library and cites them properly in APA style. Covered at least 3 news sources. Covered at least 3 regions. Had a visual presentation (Power Point or Prezi) that made sense for the content. Kept time down to 15 minutes. Created a discussion after the presentation. 4. The Partial Project 1 will be to write a 1,500 to 2,000-word monograph about the country that was randomly assigned to each student at the beginning of the semester. It must include sections for each of the six tools analyzed at the beginning of the course (geography, history, economy, politics, philosophy, and art) and how they apply to the student’s assigned country. The student must cite at least three reliable sources from the campus library or the Digital Library (no Wikipedia!). In addition to the monograph, the student must make two original postcards from their assigned country: one for a natural landmark, and one for an artificial landmark. Both postcards must have the name of the country and the subject of the photograph on the front and be addressed properly from the assigned country to the classroom. Remember that each language has its own way of writing postal addresses and the names of other countries. Geography section must include the country’s location, extension, main geological formations, main rivers and bodies of water, a description of its borders, and its political division (States? Provinces? Departments?). History section must include when the country was founded in its current form, its main languages, its previous forms (Was it a colony? Was it a medieval kingdom? Did it have a revolution? ), an explanation of its flag, and current expressions of its history (What dates or important people does it commemorate? How does it commemorate them? Does it have Nobel laureates or other relevant titleholders?). Economy section must include the country’s population, Gross Domestic Product (GDP), GDP per capita, currency, exchange rate with the Mexican peso and the US dollar, main exports with their main destinations, and main imports with their main sources. Politics section must include a detailed description of the country’s current form of government, an overview of the relevant people in its government, an overview of its most relevant political discussions in the present day, and an overview of its military and international relations. Philosophy section must include an overview of the country’s main religions and systems of belief, its relevant thinkers, its view on conflict (Does it enter a lot of wars? What do they think of terrorism? Did it have a genocide? ), gender roles (Are women and men treated differently? How are LGBT people treated? ), and specific cultural expressions (for example, Día de los Muertos for Mexico, Chinese New Year for China, Poisson D’Avril for France, etc). Art section must include an overview of the country’s artistic expression with specific examples of the country’s production of visual art, literature, music, and any others that may apply (for example, some countries have notable textiles, cooking, pottery, etc.). 2 original postcards from your selected country, one for a natural landmark and one for an artificial landmark, both addressed properly from the assigned country to the classroom and with the name of the country and the subject of the photograph on the front. The position paper must provide an overview of the selected topic in the assigned country and focus on one specific discussion that is identified by the student as being of great importance to contemporary society. Structure makes sense in the context of the class and reaches a relevant conclusion. Uses 4 separate sources from the library or the digital library and cites them properly in APA style. Shows a plan for each paragraph with a main idea and supporting sentences. Structure includes introduction, main idea, body, and conclusion. 6. The Final Project will be to write a 1,000 to 1,500-word position paper on the topic outlined for the second partial project. Topics and working papers may be submitted to the professor for tutoring and approval. The student must cite at least 5 reliable sources from the campus library or the Digital Library in APA format. Uses 5 separate sources from the library or the digital library and cites them properly in APA style. The topic is the student’s selected country and how it is affected by one of YaleGlobalOnline’s topics of globalization. 7. The Tabula Rasa exercise and the Academic Seminar will be a part of the final Homework & Discussion grade. In the Tabula Rasa, the students’ assigned countries will have to negotiate the solution to a fictional international conflict in the course of three classes. Participation will be graded on a pass/fail basis according to how realistically the student participates and follows diplomatic protocol, whether if they are familiar with their assigned country’s objectives, and how they attempt to help them in the context of the discussion. In the Academic Seminar, presentations will be graded on a pass/fail basis according to how advanced each student’s working paper is (there should at least be an improved outline after the second partial project) and the student’s reaction to peer review. They should not get defensive about their own work and welcome all kinds of constructive criticism. Specifies the main idea of each chapter covered by the presentation. Has a visual presentation (Power Point or Prezi) that makes sense for the content. Keeps presentation time under 45 minutes. Created an in-class discussion after the presentation after the presentation. Included a class activity after the 45-minute presentation. 9. For Extra Points, students may turn in optional 750-word book reports about both assigned books that will be presented each unit during Team Presentations. The books are “Bound Together” by Nayan Chanda and “A Brief History of the Future” by Jacques Attali. 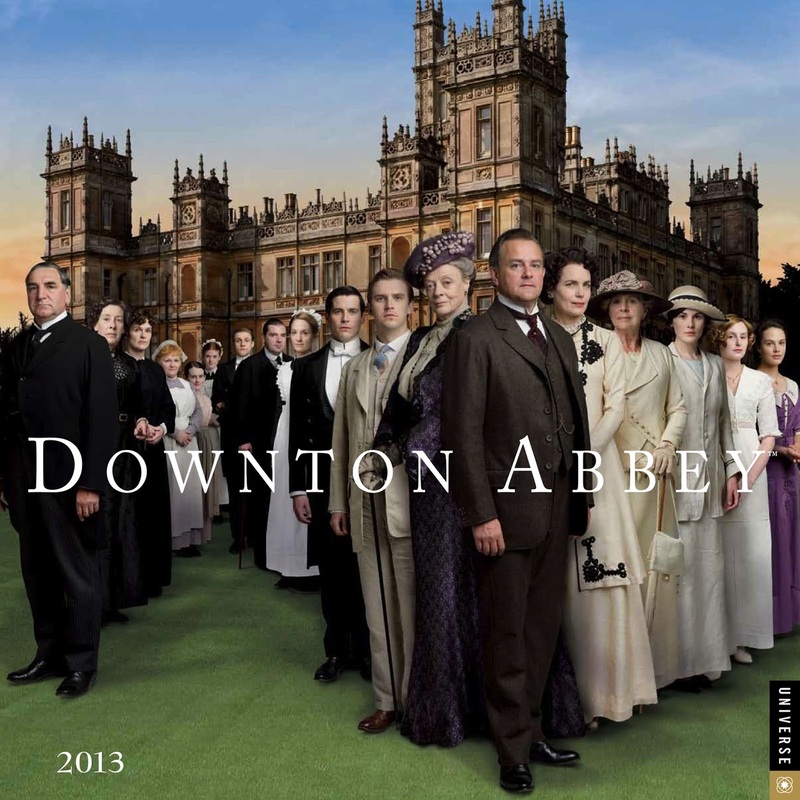 Introduction includes the book’s title, autor, and publication information. Introduction explains what the book is about. Gives an informed and supported opinion on the book. Provides a brief overview of the author’s main argument. Points out chapters or passages that are particularly relevant to the author’s argument and the student’s opinion of the book. Specifies if they would recommend the book to others and why. Summarizes previous points in a conclusion. Francisco García González holds a Bachelor of Arts in International Relations from Tecnológico de Monterrey, Campus Ciudad de México, and a Master of Arts in Public Administration and Public Policy from Tecnológico de Monterrey’s School of Government and Public Transformation. His areas of specialization have included corruption, conflicts of interest, North American comparative politics, and globalization. He has also studied at Georgetown University’s School of Continuing Studies in the International Relations and Conflict Resolution track of their “Semester in Washington” program, as well as Universidad Católica del Uruguay’s Winter School of Research Methods and Data Analysis. He has worked for the Mexican federal government, the National Defense University’s William J. Perry Center for Hemispheric Defense Studies in Washington, DC, and Yale University’s Center for the Study of Globalization.